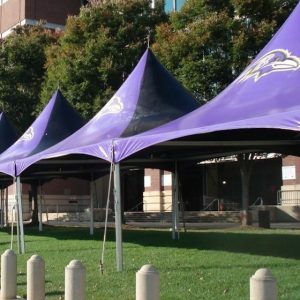 Our natural stone river rock receptacles, concrete receptacles, metal/steel receptacles and high impact plastic outdoor trash receptacles are the perfect way to enhance the cleanliness and beauty of commercial property, parks and recreational areas. 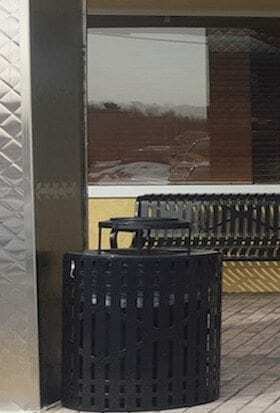 Litter is proven to be significantly reduced when there are visible receptacles appropriately placed. 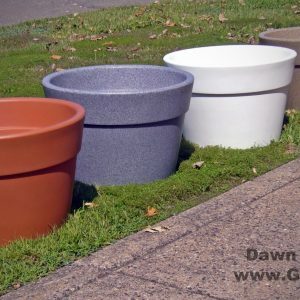 These durable and attractive receptacles are available in a variety of colors to fit your design needs and are built to withstand harsh weather conditions. Logo’s and various lid options are available. If you have any questions about our products please reach out to our sales support who are happy to assist you in finding the right product! 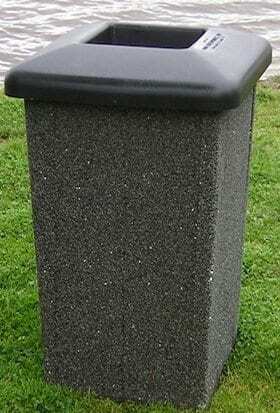 Our concrete trash cans come in 3 standard designs and are a practical way to keep cities, parks and streets clean, while being heavy enough to provide security for your entrances and deter theft. Minimum rating of 5000 psi at 28 days. 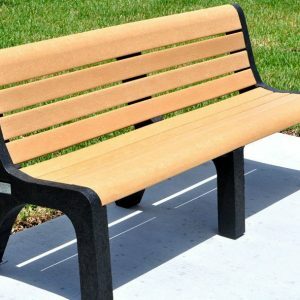 Powder-coated to ensure years of trouble-free outdoor use. Units bolt to the ground to deter theft. Able to withstand harsh weather conditions. Removable high density plastic liner makes emptying them quick and easy. Our plastic trash receptacles are a perfect light weight solution to waste management indoors or outdoors. 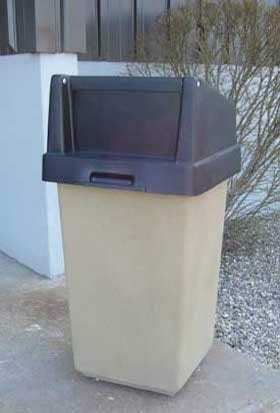 Our plastic trash receptacles are made from high density polyethylene allowing them to be both durable and portable. 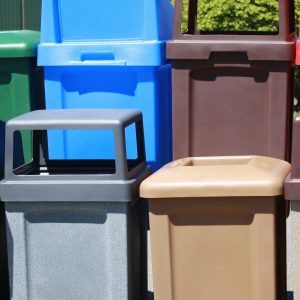 Easy to clean and maintain, these plastic trash receptacles are the perfect outdoor accessory for schools, parks, recreation areas, commercial properties. Made from high density polyethylene. 40% lighter than concrete for reduced shipping costs. Able to withstand the harshest elements. Made of stone for no maintenance. Built-in liner and drain hole at bottom allow for easy cleaning. Request a quote or call us today! Our friendly sales support is happy to answer whatever questions you have and assist you in finding the right product for your property.